Last Saturday we drove up to The Woodlands to spend the day exploring! We have a good friend from college that grew up there, and she's always telling us to make the drive. 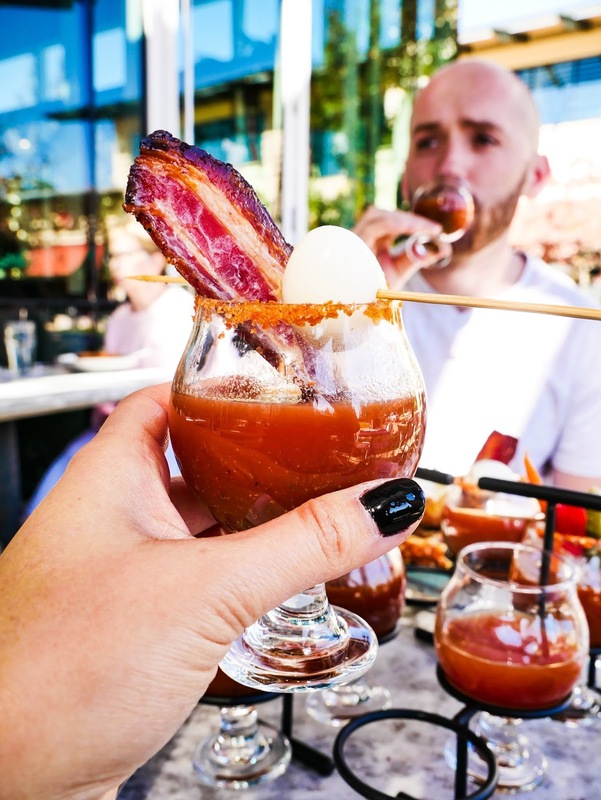 To be completely honest, we don't enjoy driving anywhere outside the loop, so we always use the excuse that the inner loop has everything we want to see and eat. 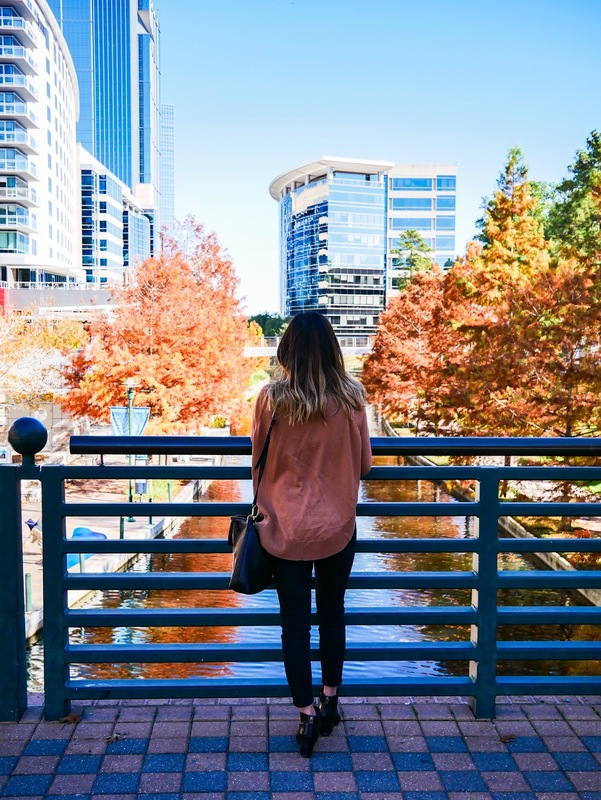 Unfortunately we didn't get to hit all of the recommendations given to us by our friend, but we got a great feel for The Woodlands and can confidently say that it is the perfect "daycation" destination. So if you have an open day in one of the upcoming weekends or need to plan for when family comes into town, make sure to hit up these spots. 1. 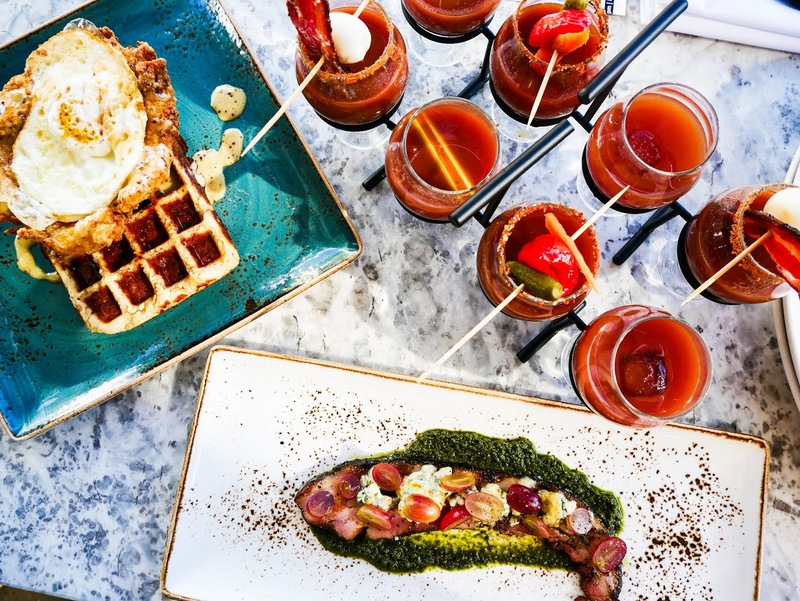 Start with brunch at Fielding's Local Kitchen & Bar. 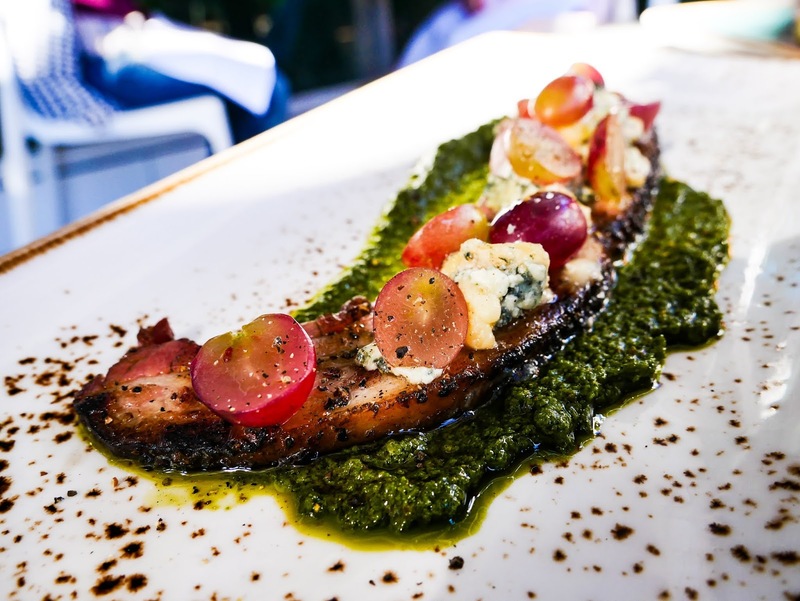 Located in Creekside Park Village Green, Fielding's is a casual and upscale restaurant, where fresh is everything. 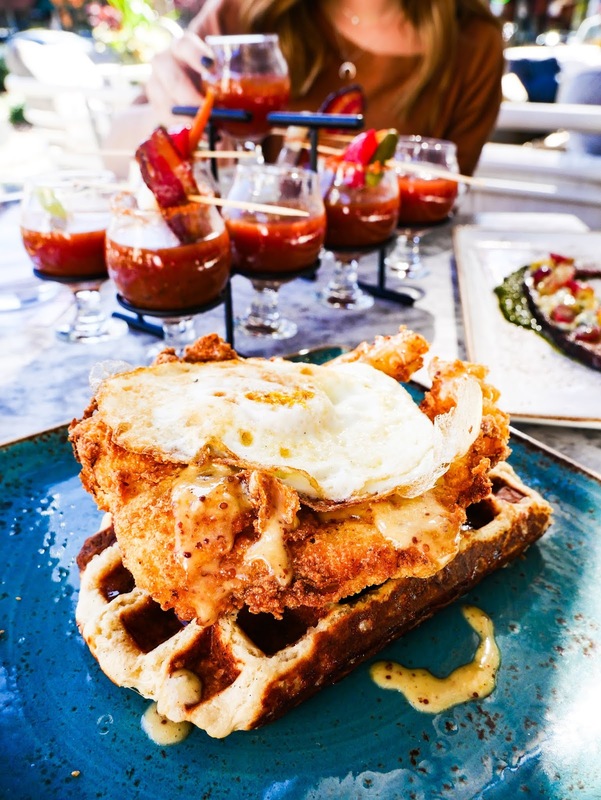 Try their chicken and waffles and enjoy a nice bloody mary or mimosa flight to get the day started right. 2. Walk around Hughes Landing. 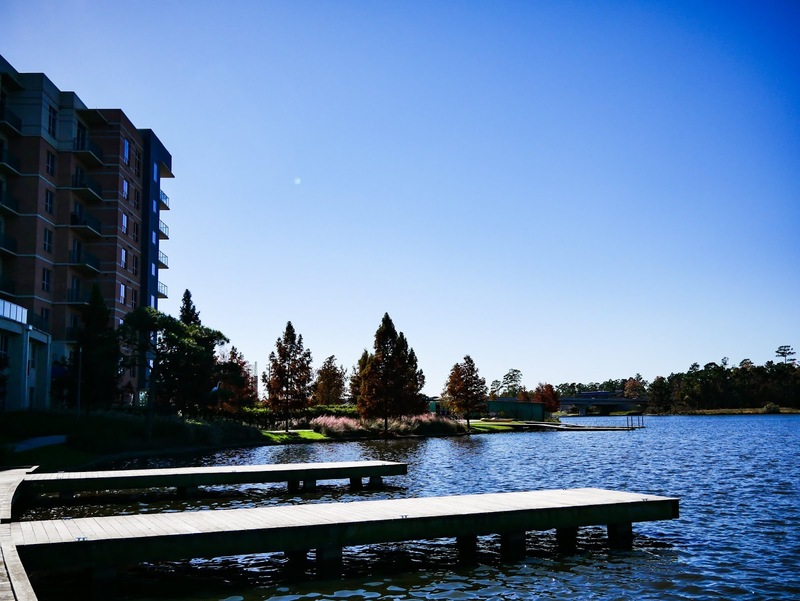 Hughes Landing is a 66 acre development that features not only a handful of restaurants and shops, but also incredible views of Lake Woodlands. Water sport rentals, a dog park, and connections to hike and bike trails are also available. 3. 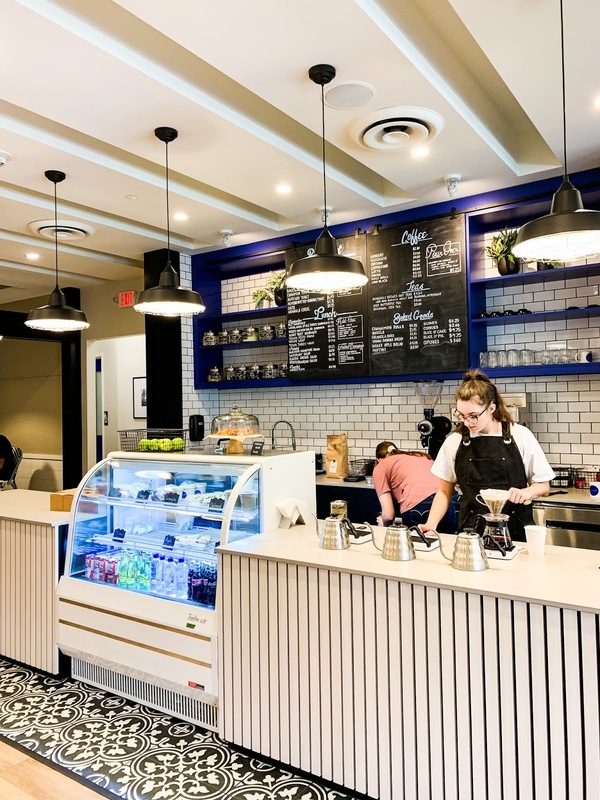 Stop by Blue Door Coffee for a mid-day caffeine fix. 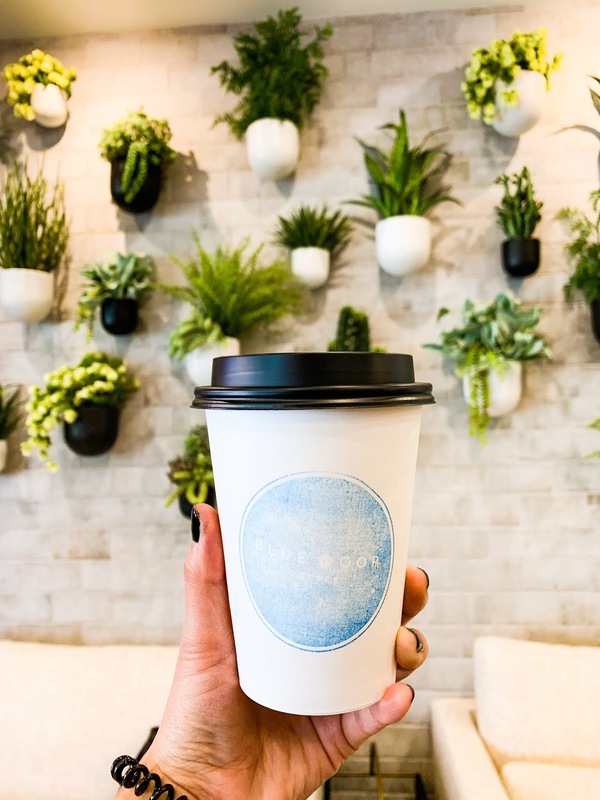 Make your way to The Waterway, where you'll find Blue Door Coffee. 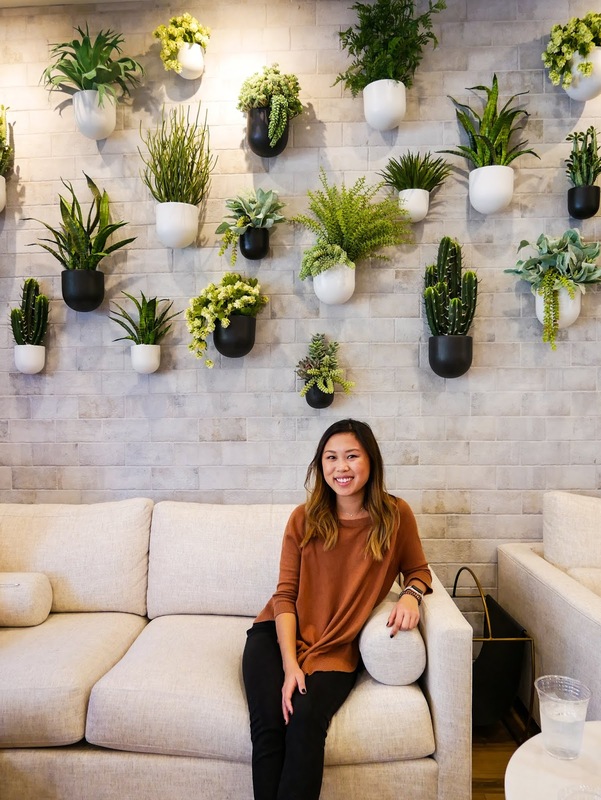 Stop by for a coffee and a quick photo-op at this super Instagrammable coffee shop before continuing on. 4. 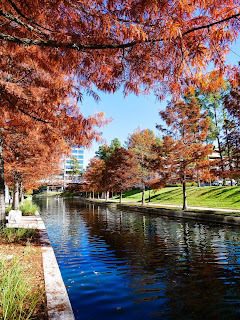 Stroll along The Waterway as you sip on your coffee. 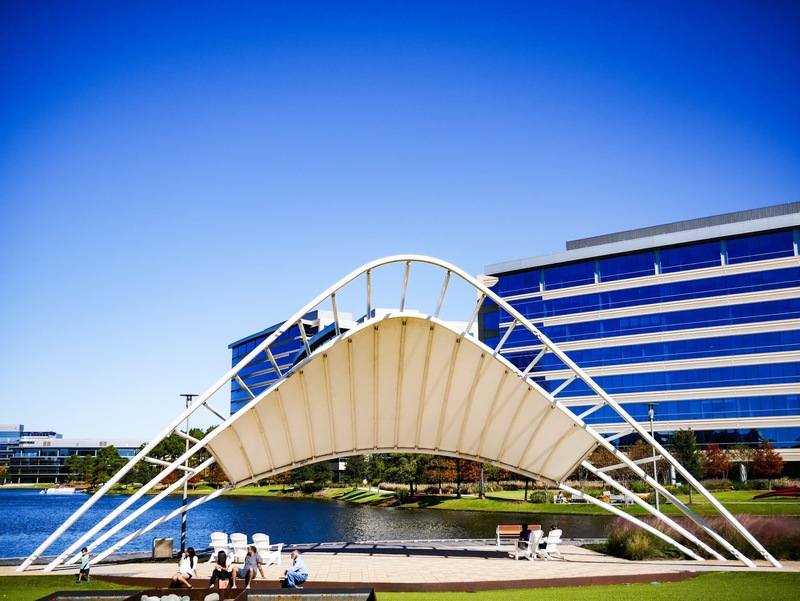 The Waterway is the heart of Downtown The Woodlands. 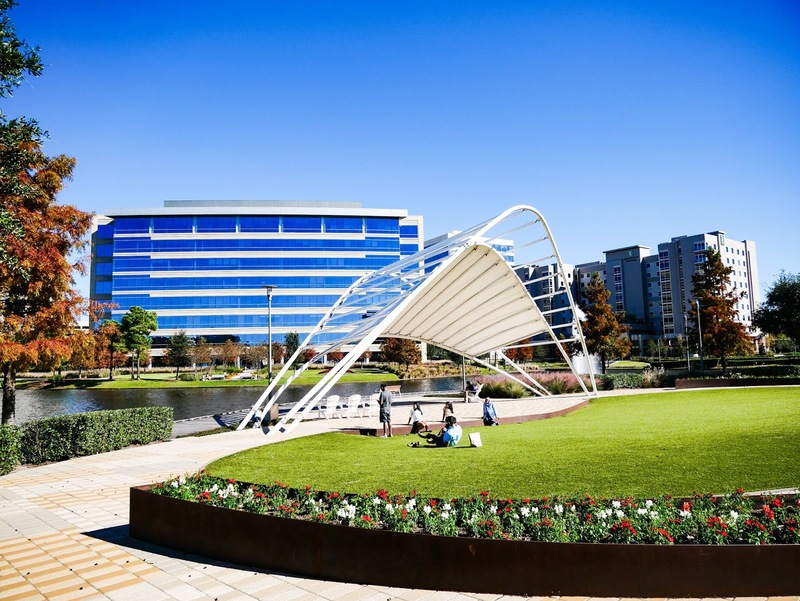 It connects The Cynthia Woods Mitchell Pavilion, The Woodlands Marriott Hotel, Waterway Square, and The Woodlands Mall, and is SO vibrant right now. 5. Make your way towards Market Street for more shopping. 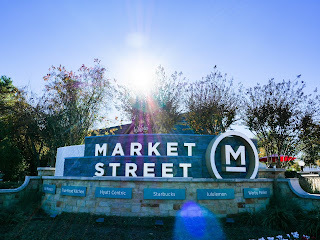 If it's a nice day, you can make your way to Market Street that's a beautiful outdoor shopping center. 6. Circle back around to The Waterway for dinner and drinks with a view. Hope y'all find this useful in planning your next trip to The Woodlands! We had such a wonderful experience, I'm already hoping to make another day trip soon!